EPaDel's Fall 2018 meeting was held November 3, 2018 at West Chester University. Most events take place in the Business and Public Management Center (BPMC). What do a square-wheeled bicycle, a 17th-century French painting, and the Indiana legislature all have in common? They appear among the many pieces of beautiful exposition that have appeared in Math Horizons. Math Horizons, the undergraduate magazine started by the MAA in 1994, publishes articles to introduce students to the world of mathematics outside the classroom. Some of mathematics' best expositors have written for MH over the years; here is an idiosyncratic tour of the first ten years of Horizons. Dr. Deanna Haunsperger is a professor of mathematics at Carleton College in Minnesota. Since her own undergraduate days, Deanna has been interested in increasing the number of students who pursue advanced degrees in mathematics. That passion has guided her as a former co-editor for Math Horizons (the Mathematical Association of America’s magazine for undergraduates) and as co-founder and co-director of Carleton's Summer Mathematics Program for Women (a successful, intensive four-week summer program to encourage talented undergraduate women to pursue advanced degrees in the mathematical sciences). She has chaired the MAA’s Strategic Planning Committee on Students and the Council on Outreach. Currently Deanna is President of the MAA. Deanna is married to fellow mathematician Steve Kennedy, and together they have two grown children. Mathematicians are facing a new challenge! Come up with new cryptosystems based on hard math problems which can help secure the world’s digital infrastructure once we have a full-scale quantum computer available. This talk will discuss the upcoming NIST (National Institute of Standards and Technology) competition to standardize new cryptographic schemes for a post-quantum world. I will present a current proposal for post-quantum systems based on very cool Ramanujan graphs. Supersingular Isogeny Graphs were proposed for use in Cryptography in 2006 by Charles-Goren-Lauter, and are currently being considered as candidates for standardization in the 2017 NIST Post-Quantum Cryptography International Competition. 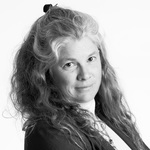 Kristin Lauter is a Principal Researcher and Research Manager for the Cryptography group at Microsoft Research. Her research focuses on post-quantum cryptography, algorithmic number theory, elliptic curve, pairing-based, and lattice-based cryptography, homomorphic encryption, and cloud security and privacy, including privacy for healthcare. Her work has been featured in the press in articles in Science, Nature, American Scientist, and PNAS. She has published over 75 research articles and 5 books, her work appearing in venues ranging from the American Journal of Mathematics to the Journal of Biomedical Informatics and the Proceedings of CRYPTO and EUROCRYPT. 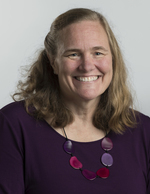 Lauter has served the mathematical community as President of the Association for Women in Mathematics, and on the Council of the American Mathematical Society. She is a Fellow of the American Mathematical Society and the Association for Women in Mathematics. She was a co-founder of the Women In Numbers Network, a research collaboration community for women in number theory, and she serves on the Scientific Advisory Board for BIRS, the Banff International Research Station. Lauter is also an Affiliate Professor in the Department of Mathematics at the University of Washington. In 2008, Lauter, together with her coauthors, was awarded the Selfridge Prize in Computational Number Theory. She loves to engage audience with accessible lectures highlighting the importance of mathematics in society. The application of math and statistics to any activities that involve humans tends to draw criticism that it turns humans into robots and that numbers can’t describe or predict the nuances of human behavior. Despite it being fifteen years since the publication of "Moneyball", it is still a common criticism in baseball from fans, writers, and announcers. I will talk about the skills we value at the Phillies R&D department beyond proficiency in math, as well as some examples of problems that we face and how we tackle them. 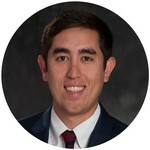 Alex Nakahara joined the Phillies in 2017 as a Senior Quantitative Analyst, creating analyses and tools for understanding and visualizing data for the Baseball Operations Department. He previously worked for four years at Northrop Grumman as a systems engineer in a variety of roles including as the lead researcher for several air traffic control research and development projects. Born in Philadelphia, he graduated from the Episcopal Academy in 2006. He received a BSE in Mechanical Engineering from the University of Pennsylvania in 2010 and a MS from MIT in Aeronautics and Astronautics in 2012. Participants will compete in a mathematically-minded scavenger hunt! Clues will be hidden throughout the conference grounds. Logic, analysis, and some smart googling will lead teams to the final clue. The first team to submit the final clue will win amazon gift cards! Come and scavenge your way to a prize! HINT: Come to Kristin Lauter’s talk for your first clue!